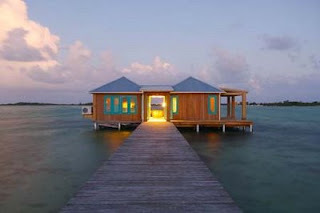 If ultimate privacy and romance is what you are craving, Cayo Espanto--a private island resort off the coast of Belize--has got your number. The resort's Ultimate Romance package includes a four-night stay in a beautiful over-the-water bungalow, a welcome bottle of champagne, one massage per person, a private snorkel trip and a romantic beach picnic. The $4,995 (per couple) package rates also includes three customized gourmet meals daily, snacks, most drinks and non-motorized water sports equipment. You'll also be pampered by a private butler and enjoy meals made to order by your personal chef. The offer is valid for stays through August 31 but bookings must be made by end of Feburary. Contact The EliteTravelGal at elitetravelgal@aol.com to book or for more details on this & other romantic vacation ideas.